Share your blog on your Timeline! 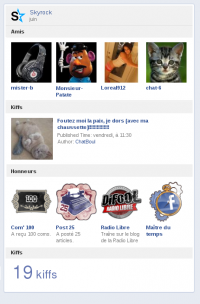 You heart your blog and you would like to share with your Facebook friends what you do on Skyrock? Link your Facebook account with your Skyrock account and share everything you do and heart with all your friends on Facebook! Click here if you want to link your accounts straight away! You have won a new award? It's shown on Facebook in an instant! The latest articles you hearted? Your Facebook friends can read them immediately! Post your pictures however you want! 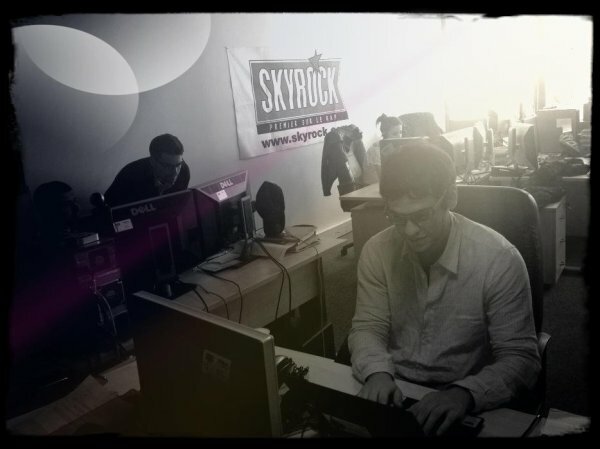 You have suggested a lot of ideas to improve Skyrock.com, quite a few have asked to be able to post pictures in whatever order... Skyrock listens to you, Skyrock acts! Just click on POST and choose "image": when you upload more than one picture you can choose between different layouts for publishing you pics. 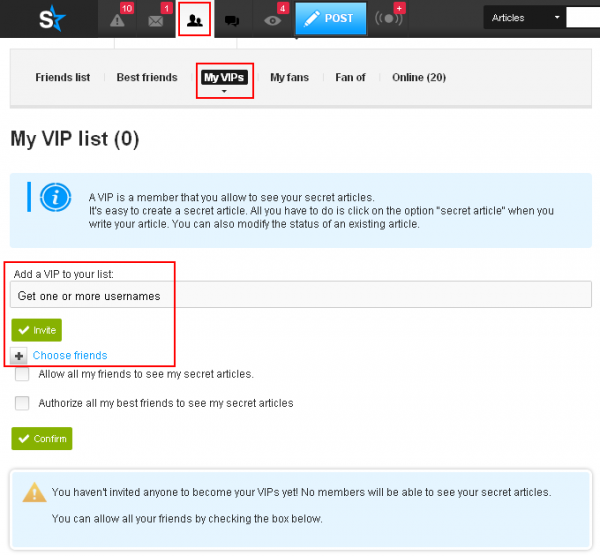 Personalize your articles and pimp your blog! New filters for your photos! You love posting pictures in your articles? Then you will absolutely love the new update! 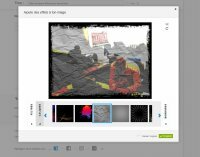 Discover the new filters for our picture tool in the article editor! You don't remember how to add effects to your pictures? Need some help? ;) Click here to refresh your memory and find out how to use the tool! 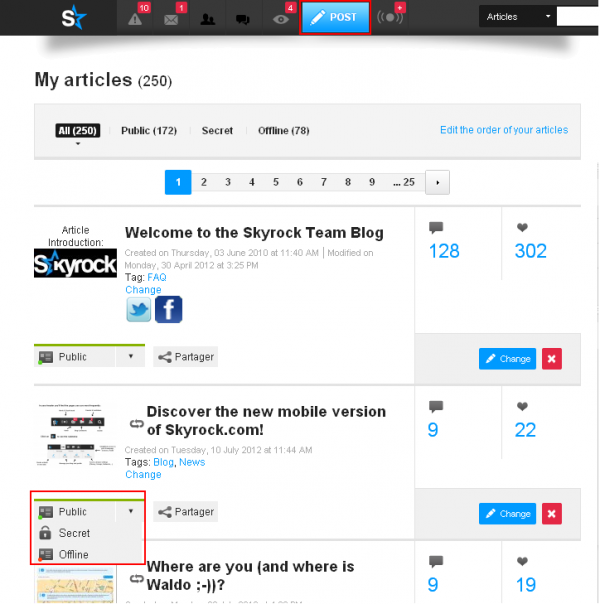 Source Blogs - your passion on one page! Quite a few weeks have passed since we introduced our first Source Blogs. On one page you can find the latest articles, photos, videos on one topic, blogs that are specialized, fan groups and more! We started with three pages - Celebrities, Bollywood and Japanese Culture - now this number has grown to 15 already! 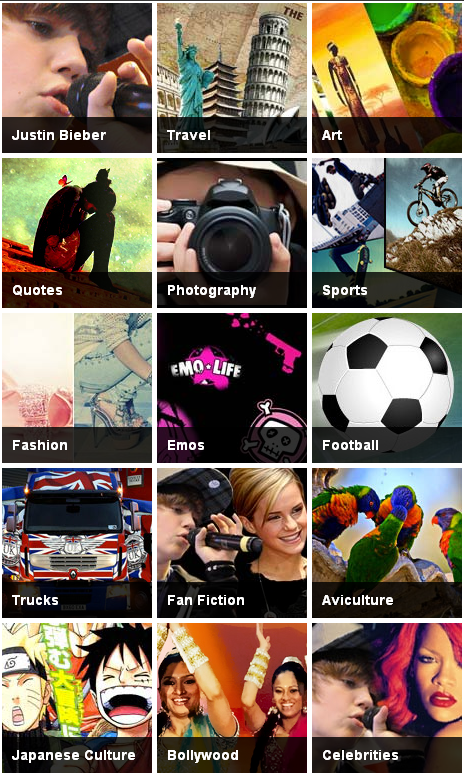 Are you a fan of Trucks, Justin Bieber, Football or Sports? Do you like to Travel or write Fan Fiction? You are into Birds or Fashion? Or do you love Art and Photography? Even Emo culture and Quotes have their own source! And there will be even more coming soon! Do you have suggestions for new Source Blogs? Suggest your idea from one of the source blogs! You have a specialized blog, talking about any subject and you want it to be promoted? Leave us a comment with a link or submit your blog from one of the source blogs. 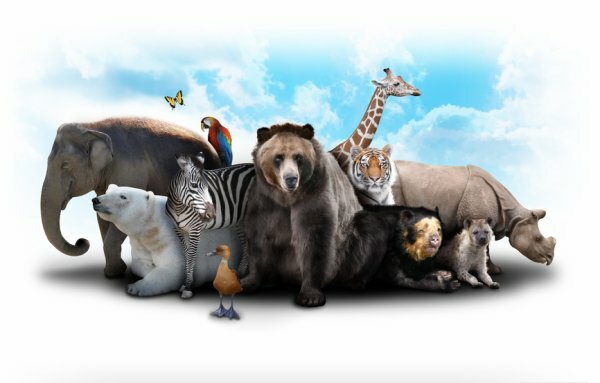 It doesn't matter whether you write in English, Spanish, Portuguese, German, Dutch or even Latin: it just has to be original and dedicated to one topic. Share your blog and become famous! Ask us your questions on Kwest! Do you have a question that you always wanted to ask us? No problemo! Just ask us on Kwest and we'll try to answer them all! Do you receive a lot of questions from your fans and friends? Sign up and manage the questions with Kwest. You are passionate about football, celebrities, Japanese Culture or Bollywood? You are always looking for great blogs writing about your favorite topic? Then we have good news for you! We've created the Source Blogs! 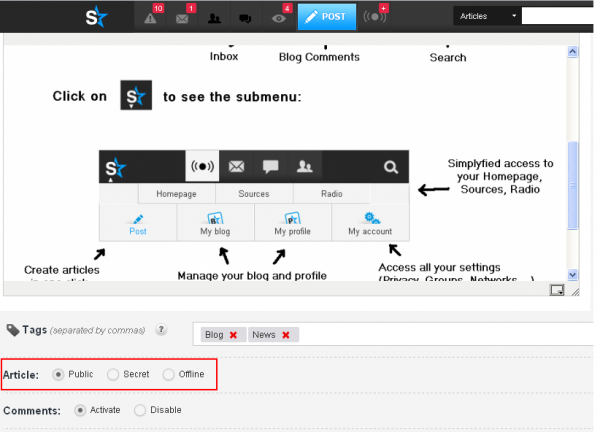 Go to "Source Blogs" and choose your category. Now you'll find all the blogs dedicated to your passion! We've also listed the newest articles, you'll be able to see what's happening on Twitter, watch videos... stay up to date with the latest news on eveything concerning your interests! Do you have a great blog that deserves to be a source? You have a suggestion for a new topic? Submit your blog or ideas! 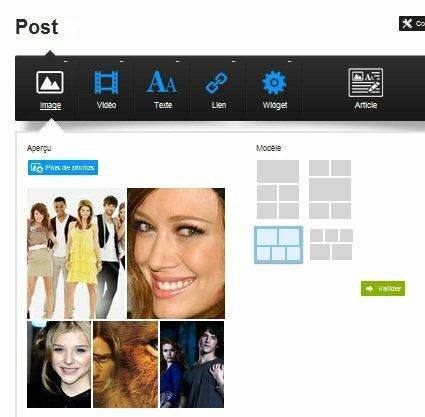 Only on Skyrock: Tons of ways to edit your pics! 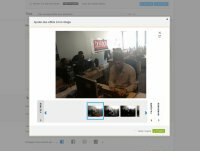 An awesome new feature is available exclusively for you: now you can edit and improve all your blog pictures in order to give them an extra personalized touch! Get ready to enjoy all the special effects you'll be able to do! 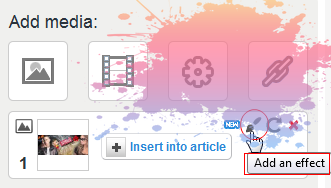 * In the right-hand column there is a little paintbrush next to the uploaded picture. Click on it to pimp out your picture! * When you go to save your picture, you have a choice: either you click on "Replace" and your new and improved picture will replace the original OR you can click on "Add" to save both the new and original pictures. What are you waiting for? EDIT your PICTURES! Have you started editing your pics? Leave your address in our comments!